Sin palabras. Les comparto la entrevista que realicé a mi ídolo: Hiromi Uehara. I’ve been composing since 6 years old. I studied composing (at a) very early age. Just like keeping a journal, you know? Instead of writing in language, I was writing in music. So it’s kind of a very natural thing for me. It’s something that I have passion for. I am always looking for something which can be music because I want to write. And I am very happy when I encounter something. It can be events… It can be anything, it can be an amazing landscape, a great conversation you have with people. Or it can be something… It doesn’t have to be super romantic. It can be something little, and I am always trying to write music about new things. One of the songs that I wrote when I was very little was, I think I was six or seven. The tittle is called Why can’t chicken fly. –We both started laughing very loud-. Because all the birds can fly, but chicken couldn’t fly and I was always wondering looking at chicken: how do they feel? That was the song that I wrote when I was little, you know… just thinking interesting aspects. Just looking at all these birds, and just see them fly away, but chicken couldn’t fly away. They just walked, right? Why?! Yeah. It all comes with curiosity. You know the creation it all comes from curiosity, and that was the first thing I was curious and question about, that’s why I wrote a song about it. Another big question I have about you… Most of the musicians started by learning classical music, and you had the opportunity of learning also about the many worlds of jazz, but when did you have the opportunity of getting closer to rock and progressive rock. Because it is very clear in your music. How did it get to you and how did you feel it? I mean… when you grow up. When I grew up, I grew up listening to so many different kinds of music. So the very first music I listened to was when I was 6: classical music, like Bach you know, or like Mozart. And then when I was 8, my first piano teacher happened to be a big jazz fan, so she had me listen to Errol Garner, Oscar Peterson; so, at the age of 8 I encounter jazz music. Then when I got into teenage I had friends around me who really loved British rock, American rock, and that’s why I started to listen to rock music, soul, folk. Most of the time the reason why you encounter music, in the past age, not now, is because somebody around you happen to love something and have a very big passion and “you should listen to this”, right? So you listen. Some of the music that my friends recommended really touched my heart, some of them didn’t. But when I encountered jazz music, it wowed me. Like Wow! No? I go to the CD store and of course I want to know the history of the artist and try to listen to what kind of work they been through and then that’s how you get introduced to like his tree. For example, George Duke, I met George Duke’s music, and I was in love with his music, loved how he played, then I was researching what he’s been doing with his life, then I actually reached to Frank Zappa. And I started to listen to Frank Zappa’s Mothers, and I loved the music. Then I started to listen to more of Zappa’s music. Then it comes Vinnie Colauita, you know? All these amazing musicians. And then It’s like trees you know, a never-ending road when you are curious about music. So… in a way it’s different genre, it’s called a different genre, but it comes from… Music is music for me. So, It happen to be expressed in different ways, happen to be played in different venues. 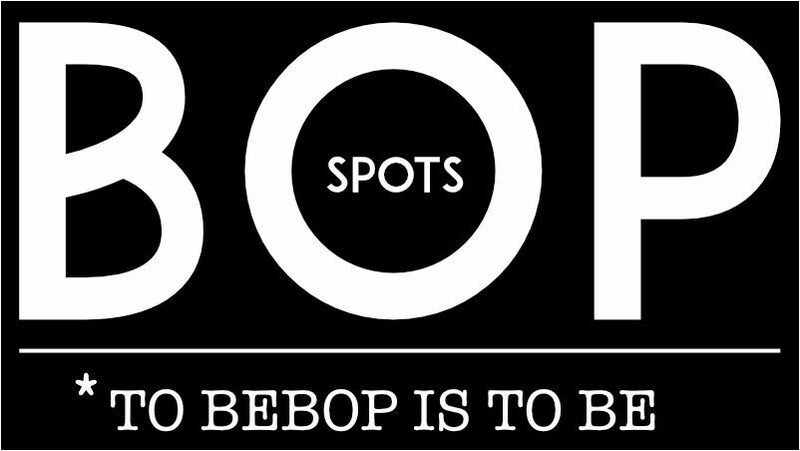 Sometimes venues restrict audience because classical music was only played in concert hall(s), maybe some young kids feel hesitant to go… because jazz is for jazz clubs. Is hard for some people even to have courage to go to jazz clubs. That’s why I really enjoy playing in different venues, I play in standing room, classical concert hall, jazz clubs. You get to meet wider variety audiences who equally loves music. I really want you to tell me about the experience of knowing and learning from Oscar Peterson. I think that is something amazing. I’ve encountered his music when I was 8, because of my first piano teacher being big jazz fan. And I have been listening his music since 8 years old. So, the reason why I had fortune to meet Oscar is… I think when I was 13 or 14, there was a concert for kids who were studying at Yamaha and there were many kids from different countries. It was held in Japan, and there was a kid from Mexico, he actually came to my show last night, he handed me the picture of 22 years ago, but he couldn’t say hello. He just handed the photo, and I have to search him. They were kids from Malaysia, Indonesia, Europe. There was a student who came from Canada so there was a teacher who came with… (In Japan, especially in my home town, there is no opportunity to speak in English. You know? Japan is consistent mostly with Japanese and mostly speak Japanese) and I was so excited that I met somebody for the first time from Canada. For me Canada equal Oscar Peterson. So when I said: “Hi, I am Hiromi”, so the teacher from the staff of Yamaha Canada said “hi, I am from Canada”, I didn’t speak much English but I said: “Canada!! Oscar Peterson!!”. That was the only word I knew. But I was like: Wow, you are from the same country of Oscar, how lucky! He was laughing, I think he was asking me how much I love Oscar, but I understood like 10 – 20% of what he was saying. And then the translator was speaking of all my love, the idol he is to me. And he sent my music to Oscar because he knew someone who knew him. So when I was 14 I got a letter from Oscar Peterson saying that he had listened to my music and for me… I couldn’t! Is amazing, you know? For me is like… is you’re playing soccer, getting a letter from Maradona, so I still remember the moment, the day when I got the letter, and I was so happy, I wasn’t even thinking of meeting him in person. When I moved to the States, when I was 20 and went to go to Berklee College of Music, then the same staff from Canada said to me “if you happen to be in Toronto for a weekend we could ask Oscar if we can meet him”. Then there was one day I could go to Toronto, and they organized it and I was very fortunate to meet him in person. Then that night I got his e-mail address. We emailed a couple of times. Then in 2006 I opened the big tour he did in Japan, it was an opening act for the Oscar Peterson trio big tour in Japan. And I will never forget seeing him from the other side of the stage: seeing him, playing. It is very weird when you see your idol very in front of you. It was a very emotional experience for me. This is very exciting for me!! It is a big honor being here with you. I think that your music is absolutely brilliant and you have your own personality. You are a big icon in the history of music already. I have a lot of questions about that! You tend to put together –as every expert musician- the technical aspects of music within the intuition, but you are also very creative. You can stand up and use the strings of your piano to create a whole new sound. All of that seem so organic for you, but for the world of music everything that you do is so new, so interesting. The question would be: How does a musician get to shape its own personality. I am very sure you are brilliant because of you… but tell me about your experience of learning all of these things and express them. You form originality. I think music, specially improvising, is very similar to speak in new language. Like when you are a baby, you are good with no words, right? How can you use that speaking? You copy what your mother, your father, or whoever you grew up with is speaking. Then you start to speak like your parents or your guardian. Then you become a little older and you make friends from kinder garden and then you speak the words from another kids who grow up from another family, and then you go to junior school, high school, college, you make so many friends from different back rounds, then you are equipped with more words. So, more you meet people… and is very important to know the kind of words you want to master because you have to pick and choose, right?. From certain age you choose: do I want to speak from that person? No. Do you want to speak like this person? Yes. When you are standing with Yes, you are copying again, and you just keep using it with people around you, and you keep using until it’s your words. And just like that when you improvise. Of course, my first improvising words came from Errol and Oscar, then you grow up more, you listen to Keith, Herbie, Chick… many, many, like Red Garland, Tommy Flanagan, even like Sonny Rollins, Clifford Brown, not only pianists, different ways to speak. And when you hear something that you like, you wish that was your words, you borrow it, and you keep playing it so much, until it becomes yours. And if you just keep doing it is very difficult to find someone who has the same taste as you. Is almost impossible, you have to make a clon of you. So, when you just keep doing it, if you are hungry for vocabularies and if you are hungry for music, I think you can be original. Other thing is when you perform. For me, curiosity is everything. Now I often wonder why kids play with toys. An adult tells them to play with it and you can chat. But kids, they can just play with one box… why? Because they don’t know it’s not a toy. You can believe is a toy and then is a toy. Jazz is like that. If you are curious enough to find something which make you feel curious about and want to utilize, something which excites you. You have to be excited about your music. This question is from the Mexican composer Miguel Almaguer, I told him I was making this interview. He asks: How do you conceive sound in relation to space? He remembered me about John Cage, who was more interested in sound than in particular notes. So, how would you answer that? It’s very tricky with piano because you don’t have any space. With voice you have to breathe, to sing you have to breathe. You need space to inhale and exhale. But for piano you just keep playing as long as you are not tired. I always try to sing along when I play. I sing every melody so it can have a natural breathing with all my phrasing and when I decide to not breathe, which is another weapon you have as a pianist, because you have to use it as a weapon, is different than doing it without thinking. Because when you are playing without thinking then is better to have space, but you just keep playing because you want to play. And that’s different. I think is always important to be aware of what you want to as a player. So when I compose I occupy the spacing, I personally like the music when it is singable. You know? My melody is very important for me, it all comes from there. Every tittle of your albums has a mind blowing expression. The metaphors… I mean Another Mind, Brain, Spiral, Spark, etcetera. How do you conceive those? Tell me the experience of deciding one tittle in relation to your music. Depends on the album, actually. Most of my tittles of the album are coming from the tittle of the song which I think represents the album the most. Sometimes the song comes first, sometimes the tittle comes first, I could sample my late one Spark: The tittle came first because I wanted to write music about a kind of an imaginary soundtrack about the story which begins with a single spark. It depends. Tell me about this Trio Project. You have a contrabass player who comes from the world of jazz, and you have this drums player who comes from the world of rock. And it is amazing what you are doing together. How did you decide, when did you choose “I am going to have this project and it has to be specifically like this”? First of all, I never thought “I am going to play with a musician that comes from the world of jazz or rock”. I never considered Simon Phillips as a rock drummer, for me he was just a drummer who has amazing understanding in many different settings. That was the key: I needed a musician who understands all kinds of music, who just enjoy equally all kinds of great music, and who is capable to play. Anthony can play anything. Simon can play anything. They are masters. So, when I was more going into the sound, the tone that each player has, I felt that it would be a dreamboat and that’s why I asked them to do a trio with me. I personally wanted to thank you. I think that you are a great representation for humanity because art is very important, and what you do is sublime. I really appreciate everything that you do, if you have anything to add, you are welcome. The only thing I would add, is (the) more I am in this professional career, I don’t know if I would feel the same if I wasn’t professional, I might feel the same by just being in music very deeply. I think is a treasure hunting life. I am just like in a big mountain or big desert, or whatever . I am always looking for treasures in playing aspects and also meeting musicians, just like I met Simon and Anthony. Last year I met this harpist from Colombia. His name is Edmar Castañeda, I met him in Montreal. When you encounter somebody that at the beginning you feel like “wow” and when you can feel there is connection, and you feel you can speak the same language, that’s what I felt when I met Simon and Anthony. Wow, this harpist! We share the same passion, we speak the same language, even when I haven’t spoke to him, we are meant to play together. The world stops around you for a second. So we made a couple of shows in New York, it was magic! I just feel like musician’s life is about working so hard every day to find this treasures. Is very beautiful when you meet your treasure. It can be your musician, it can be some show. Every year I feel like I can express more things and compare to five years ago, I am equipped with more vocabulary in music and is very similar to the growth of human being. Hopefully I get wiser and wiser ad I age. And as long as you don’t stop haunting the treasure, I think it will come true. Anterior Anterior: Jazz in Times of Political Crisis. Stop Ruining Humanity, Donald Trump! What a beautiful conversation. 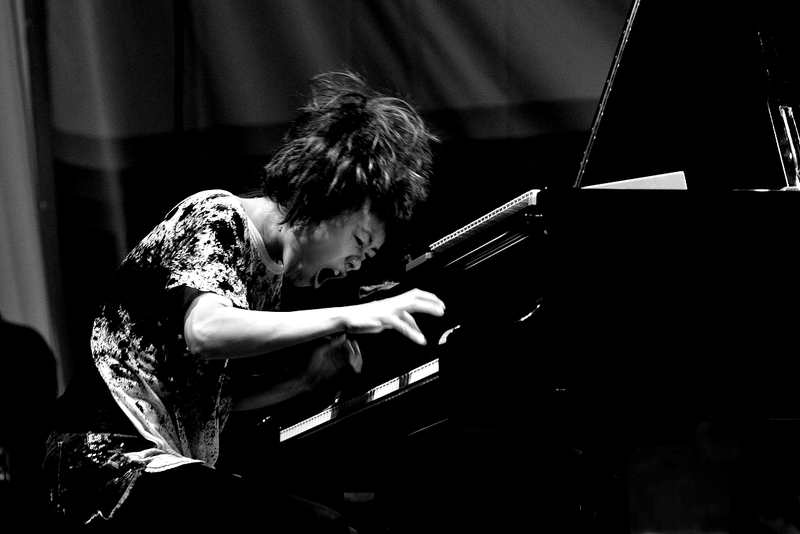 Hiromi rocks the world!